Black Ice Software - Only 6 days left! A Complete MODI Replacement! Only 6 days left! A Complete MODI Replacement! Time is running out fast! 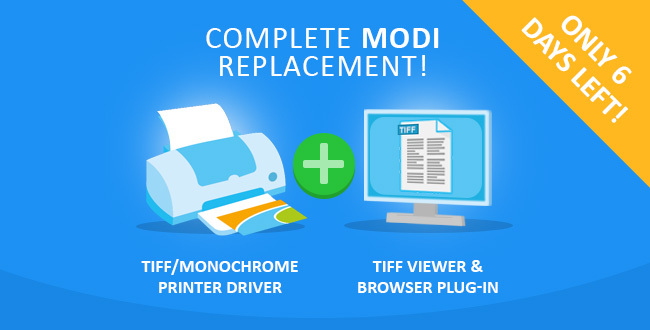 You only have 6 days left to take advantage of our discount of 20% off all new purchases for TIFF Viewer for a complete MODI replacement!